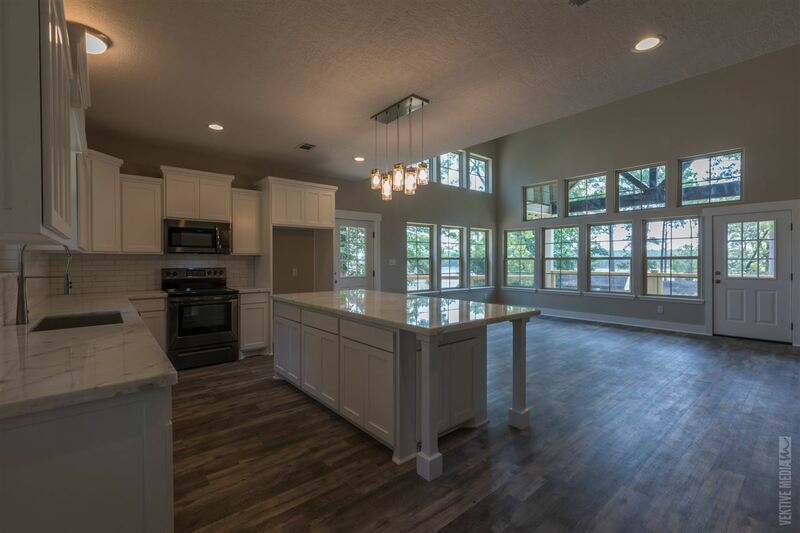 Amazing new construction with stunning views of Lake Sam Rayburn from every room. Come sit on the porch and enjoy the picturesque sunsets from this beautiful new 4br 2 1/2ba home in The Point section of Rayburn Country. With custom detail throughout, home features an open floor plan with modern farmhouse style. Quartz counter tops, custom lighting, stainless appliances and custom cabinetry throughout.